How to Add a Phone Number with Extension into Contact – Tech Geekery, Inc.
Have you ever wanted to call someone who, say, works in an office? It’s kind of a pain isn’t it? You’re cell phone invariably has that hacky number that you typed in for lack of a better option, something like “18005555555ext2345”, and you just keep trying to memorize the digits as you hop back and forth between the phone app and the contact. If you’re on an iPhone, you might even lose the phone number when you switch, requiring you to–GASP–write the number down. 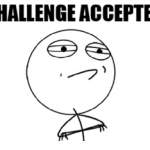 Then I found out other people had already solved it. The gist of it is simple: cell phones accept two special characters in a phone number, the ‘,’ and the ‘;’. That’s a comma and a semi-colon, respectively. A comma ‘Pauses’ the dialing process for a few seconds. On Android, this appears to be cumulative; meaning, if you put two commas ‘,,’ it would pause for about four seconds. If any Android users can verify this for me that would be awesome. How Do We Put The Numbers In? There are a couple ways to add these in. On your phone create a contact and add a phone number. You’ll see the following button near the bottom left ‘+*#‘; tap that and you should be greeted with a ‘pause’ and ‘wait’ button. 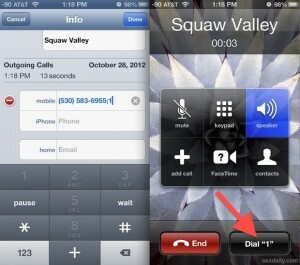 Tapping these will add the appropriate character and allow you to pause or wait your call. See the image below for what it looks like on an iPhone. Again, I believe this process is similar on Android devices. One site I found mentioned that the Phone app will recognize the letters ‘w’ and ‘p’ for wait and pause respectively. A lot of the comments seemed to indicate that this feature may have been depreciated or removed, though. 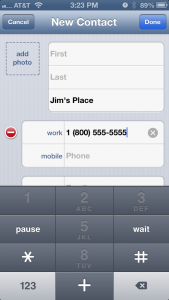 The Contacts application as well as its predecessor Address Book support the addition of ‘,’ and ‘;’ characters in phone numbers. Combined with iCloud, this makes it very easy to put these special characters into your digital Rolodex. Anyway, I hope this was helpful!